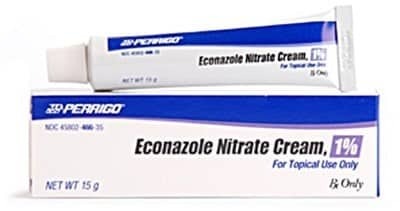 Econazole nitrate cream is a topical antifungal treatment. It can be used either with or without a prescription. The conditions it is meant to treat vary from sweat rashes to fungal groin infections. However, it is also a popular treatment option for nail fungus. Using econazole nitrate cream for toenail fungus at home is easy. Because it’s a topical agent, usage is fairly self-explanatory. However, it’s important to know how it works and the right way to apply it. When using this cream as a treatment for nail fungus, you need to make sure that you’re using it correctly, and for a long enough period. Keep in mind that any treatment for toenail fungus should be fully completed before stopping. If your fungus appears to be clearing up, continue treatment. This cream can be very effective in mild cases. You should continue to use it until it’s gone, or until your prescription runs out. That way, you can ensure the fungus is completely gone and won’t continue to spread. 1.1 What Are the Potential Side Effects? It works by killing fungus (or yeast, in some cases). Econazole helps to break down and weaken the cell membrane of fungus. The overall structure of the cells becomes damaged by the medication. This cell disruption is what kills the infection once it has been compromised. The cream’s antifungal properties not only stop an existing fungus but prevent it from growing. Spreading is one of the most common problems that can make getting rid of a nail fungus that much harder. So, a treatment option that prevents growth can be a huge help. Be sure to wash and fully dry the infected area. For a toenail fungus, econazole nitrate cream should be applied once a day. After applying it directly to the fungus, rub it in gently. Cover the infected area with a bandage or dressing to let the cream soak in. Wash your hands immediately after using the cream. This will help to reduce the risk of the fungus spreading to other areas of the body. Only use doses as directed. If you miss a dose, use the cream as soon as possible. If you experience any negative side effects after applying the cream, ask your doctor for an alternative. Most people use the cream as a treatment option with no negative consequences. However, there are some precautions to keep in mind. You should check with your doctor if the cream is being used while you’re pregnant, breastfeeding, or if it is being used on a child. Wait for clearance if you are allergic to any medications, or currently on any additional prescriptions or over the counter medications. If you struggle with alcoholism or have any issues regarding the liver or kidneys, seek out the approval of a healthcare provider. Some medications may interact negatively with each other. In the case of econazole, the drug Warfarin may bring up a negative interaction, because of the increased risk of bleeding. 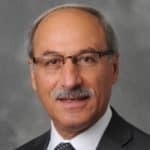 While no extensive data has been found linking the medication to serious negative side effects, getting a green light from your doctor is a recommended precaution. Other topical agents or skin medications may also interfere with econazole nitrate cream. Using it with other creams, gels, etc., may prevent proper absorption and lessen the effectiveness of the econazole medication. That moist environment is perfect for fungal growth. So, to create an environment that makes it harder for the fungus to spread, allow your toes breathe. Make sure you’re wearing shoes that aren’t too tight, and allow a bit of room for your toes. Try to wear cotton socks, not wool, or even specialized antifungal socks designed to wick away sweat. If you find that your feet do sweat quite a bit throughout the day, change your socks at least one extra time each day. Toenail fungus can sometimes cause irritation, pain, and itching. When you’re using econazole cream, avoid itching the infection. If you touch the fungus with your fingers or the cream as it’s working, you may risk spreading the infection. Keeping the cream gently bandaged after applying can help to reduce the urge to itch. Between uses of the cream, use an absorbent foot powder. Or, sprinkle an antifungal powder on and between your toes, or in your shoes. It will help to keep the fungus from growing and spreading between applications of the cream. It also won’t deter from the potency of the cream. Now that you know how to use econazole nitrate cream for toenail fungus, you can feel better prepared. 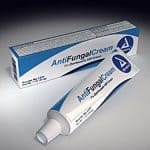 If you contract a fungal infection, starting with this cream can help to kill the fungus. An alternative 3-stage approach would be the Purely Northwest Toenail Fungus System. The typical dosage of econazole nitrate cream covers two weeks of treatment. However, some severe cases can take 6+ months of daily treatment, using the cream twice a day. You should continue to use the cream for several additional weeks after the infection is clear. That way, you can lower the risk of that same fungal strain returning. If the cream was prescribed for you, don’t stop using it without first talking to your doctor.